Having high-quality security gates installed at your home is a priority for most homeowners today. In fact, reliable security products are the first thing you need to ensure the safety of your family and property. We are Houston’s leading professional service provider, offering top-notch security gate installation, repair, and replacement services for more than a decade! Sentry Garage Door & Gates repairs all gate openers. Sentry designs, builds, & repairs security gates. Security driveway gate openers sales & repair. Security gate opener repair, service, & installation. WHY SENTRY FOR SECURITY GATES & OPENERS? Having a security gate standing at the entrance to your driveway or property makes for an excellent addition to your home’s value. Plus, it’s a great option for those who are on the lookout for that extra peace of mind regarding protection for their family and belongings. A security gate on the driveway enhances your privacy as it prevents people from simply walking up to your front door unannounced. It may be a matter of concern for you to think that a security gate may be something that’s out of your budget. That is not true since the total cost involved will depend entirely on the type of gate you choose, as well as the kind of construction and material used. If you are installing a manual gate then the cost will be on the lower side though they won’t have the kind of convenience people love to get from security gates. Automatic gate openers on the other hand are far more convenient to use but they are more expensive. However, for most people that’s a small trade-off considering the kind of convenience on offer. If you are still on the fence about going ahead with our security gates Houston service, here are some reasons why you should get it for your home. Safety for the family: The household will be at peace collectively in the knowledge that the doors and windows have been fitted with high quality security products. Adds value to the property: These installations add a great deal of value to your property. Low on maintenance and easy to use: Security gates are user-friendly products that are also easy to clean and maintain. Should any problem arise, we’re always a phone call away. We are well aware of the kind of importance you place on the security of your home. That’s why, at Sentry Garage Door & Gates, we offer quick and efficient repair services for your gate, regardless of its make and model or the nature of the problem. We are always well-stocked with the widest range of necessary spare parts and our technicians are trained to work within a tight schedule to ensure your gate is up and running at the earliest. We are also adept at carrying out regular service and maintenance on the security gates. Regular and timely servicing is essential since it helps keep major complications at bay while also ensuring that the manufacturer’s warranty remains valid. 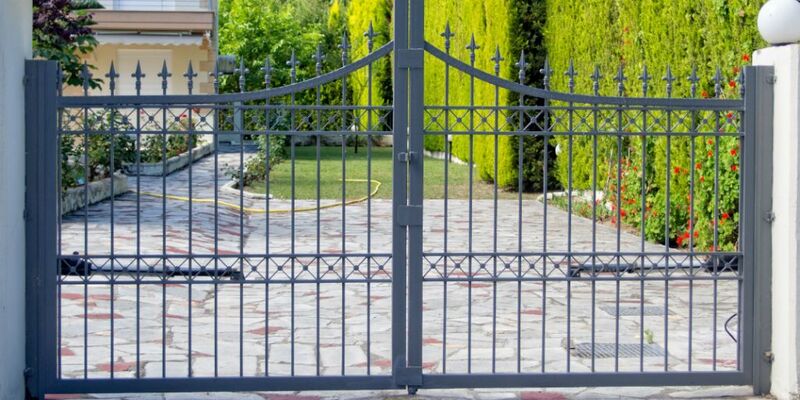 For all types of security gate repairs and installations, call us anytime.